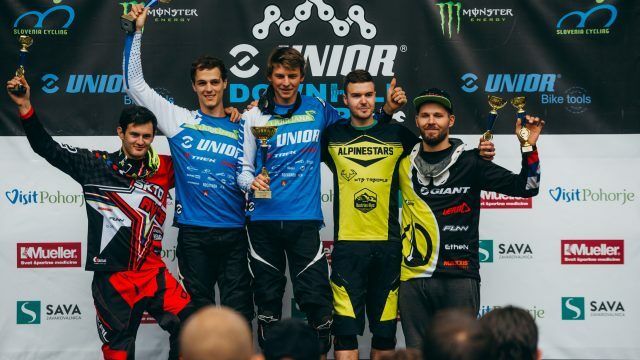 Just like last year in the first season of the series Unior Downhill Cup will again end in Maribor with the DH Visit Pohorje race. 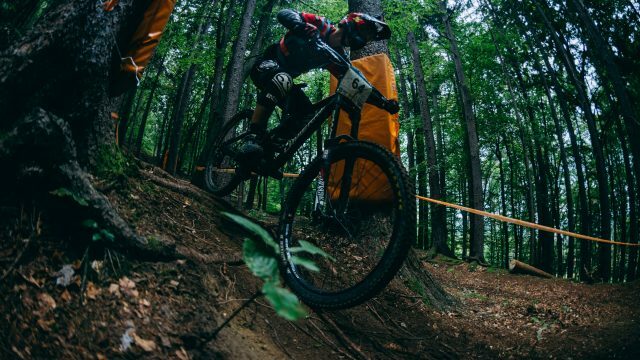 Third and last round of the series is also a Croatian Cup race and a UCI Class 2 race. 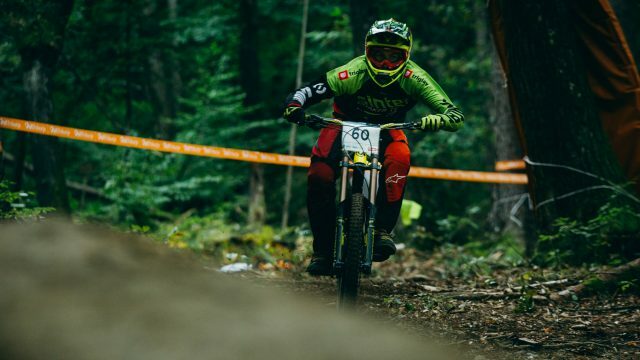 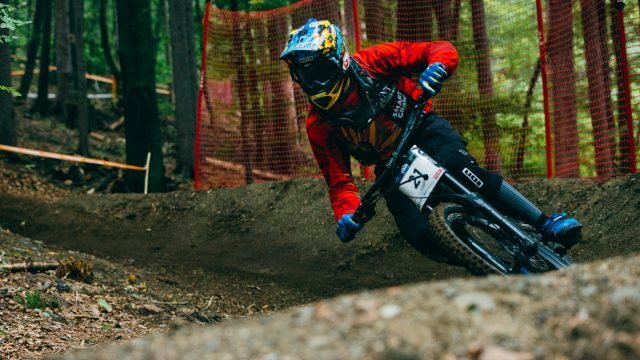 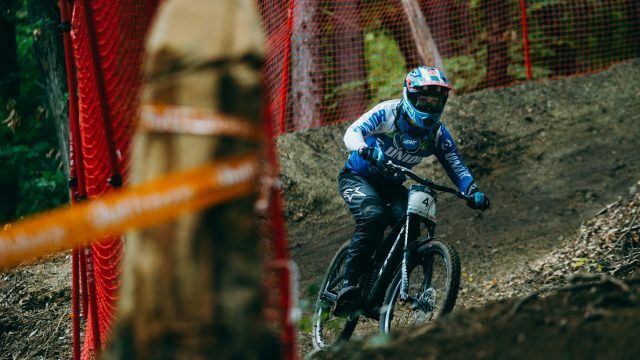 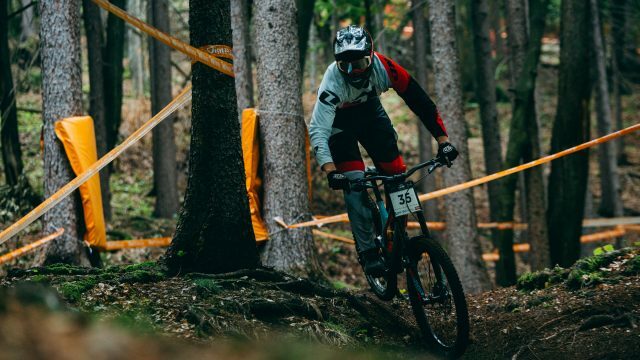 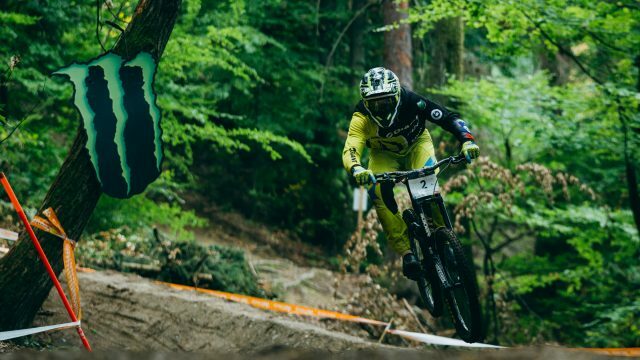 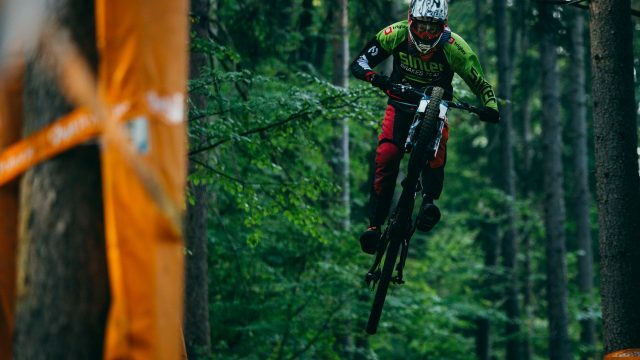 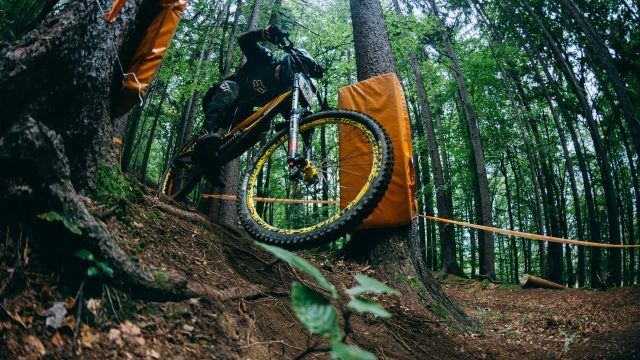 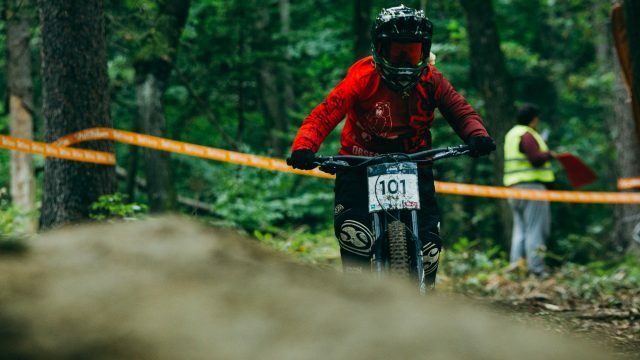 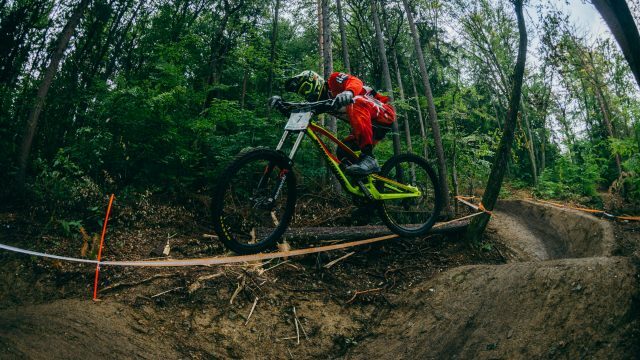 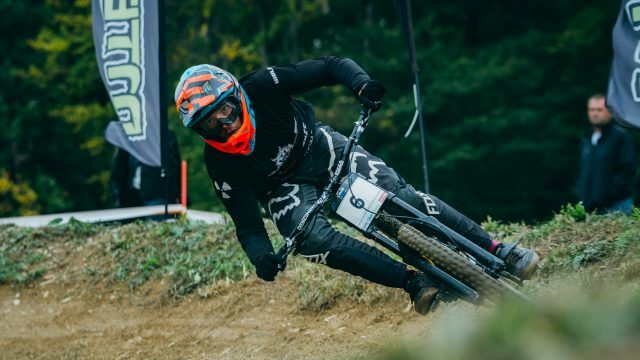 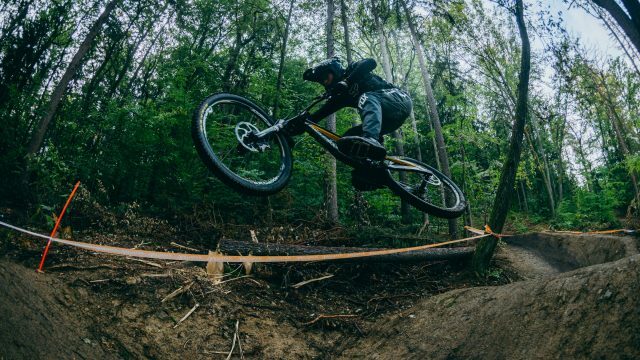 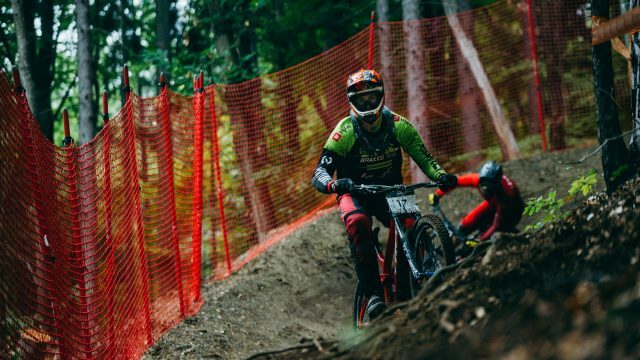 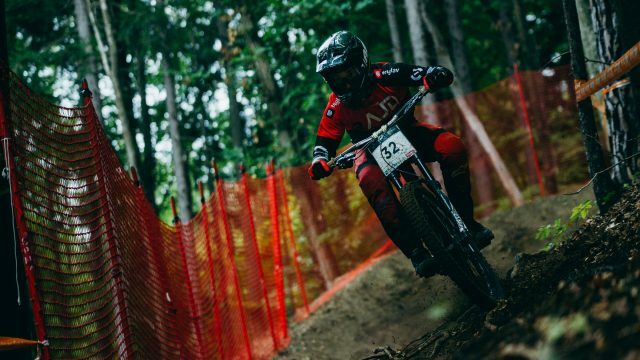 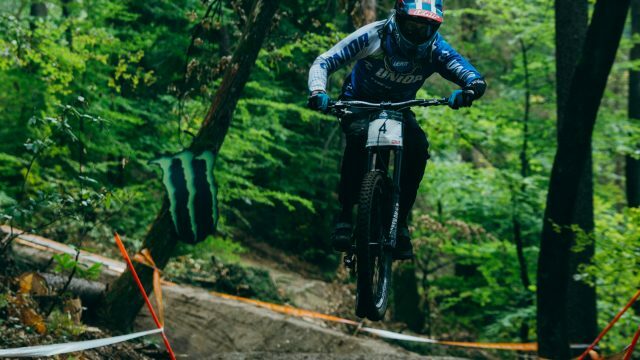 The notorious and popular World Cup downhill track in Bike park Pohorje is in shape for racing which was already obvious last April for the opening round of iXS European Downhill Cup. 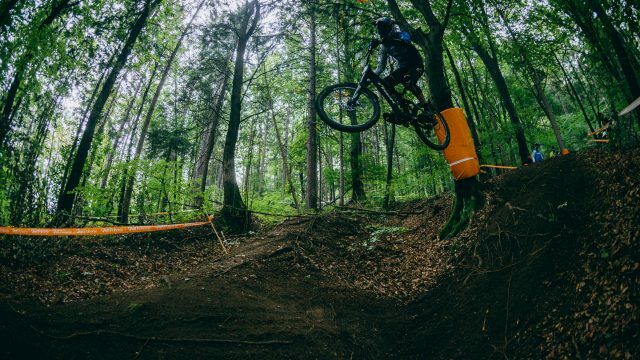 The 2600m track with elevation drop of 450m will now welcome riders from Slovenia, Croatia, Austria, Italy, Slovakia and probably more countries since the registration is open until Thursday. 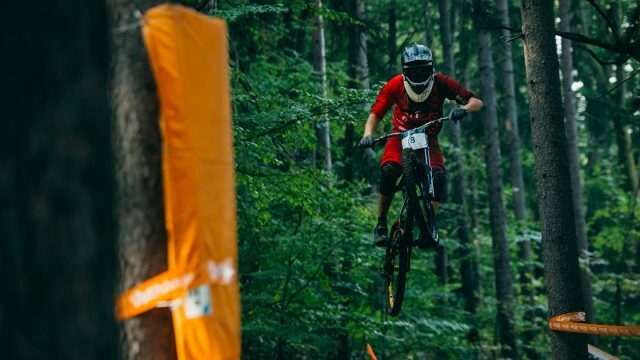 Luka Berginc (KK Črn trn) will be defending a hefty lead in men’s elite category. 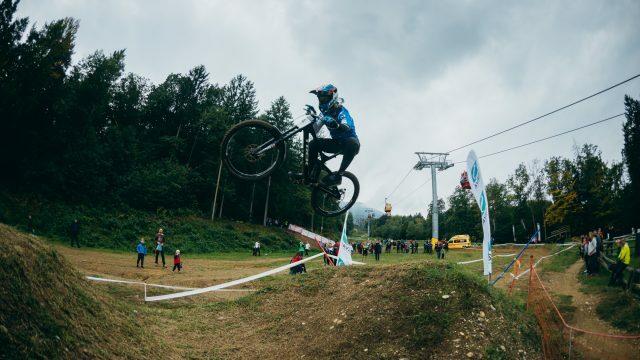 The winner of Cerkno and second placed from Javornik has 540 points. 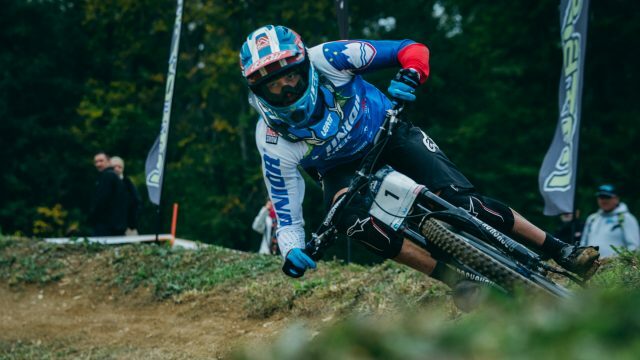 Miha Ivančič (ŠKTD Avče) is in second place 200 points behind but with a daily maximum of 300 points from semi-final and final runs he could in theory still upset the leader. 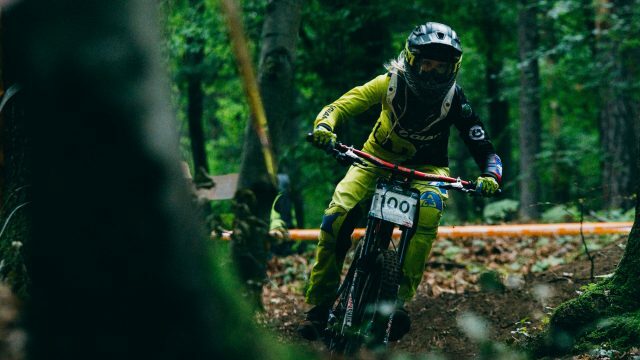 As could the third placed reigning National Champion Miran Vauh (Blackthorn) who is 260 behind but both could use a really bad day for Luka. 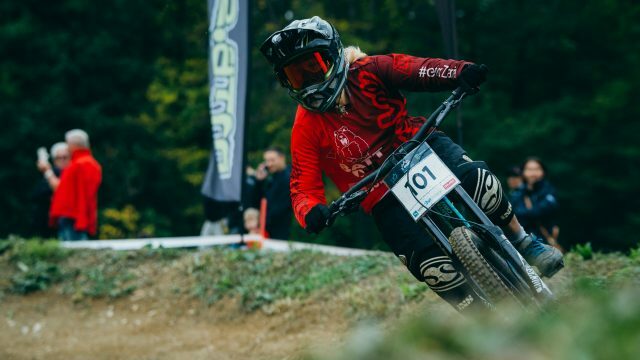 Katarina Primožič (BATT Team) is leading in women’s category with 250 points. 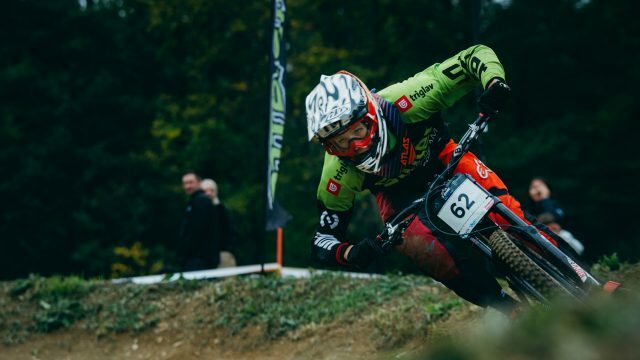 Junior rider Naja Stipanič (KK Črn trn) is 55 points behind but the daily maximum in this category is 150 points. 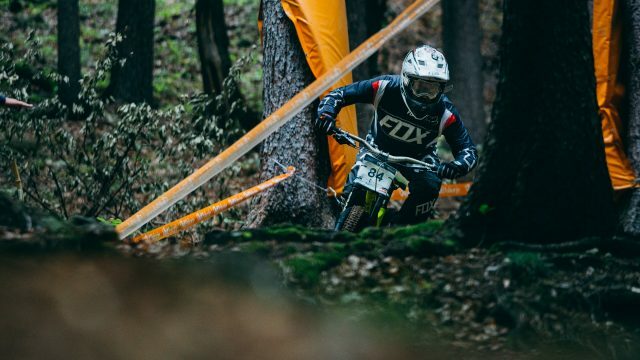 Junior categories will be even more intense. 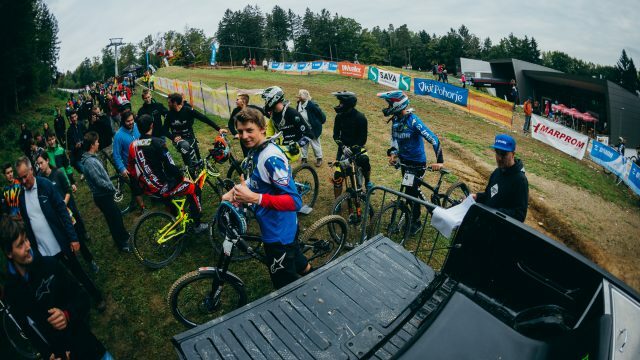 In men’s U19 the leader Žak Gomilšček (Sinter Brakes Team), iXS EDC overall winner, is only 8 points ahead of defending UDC champion Matic Kokelj (Wolf Racing Team). 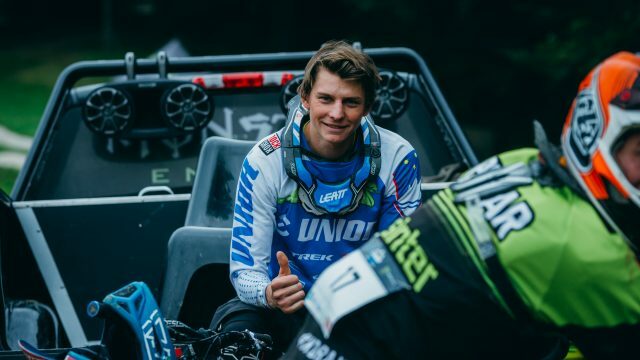 Third placed Gašper Jurečič (Rajd Ljubljana) is still just 20 points behind Žak. 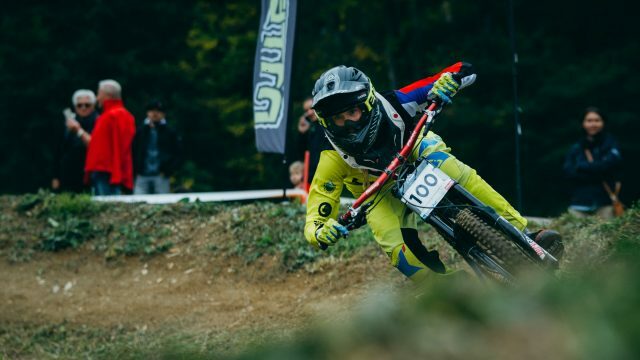 In under 17 Marko Niemiz (Sinter Brakes Team) will be defending a lead of 80 points over teammate Žan Pirš. 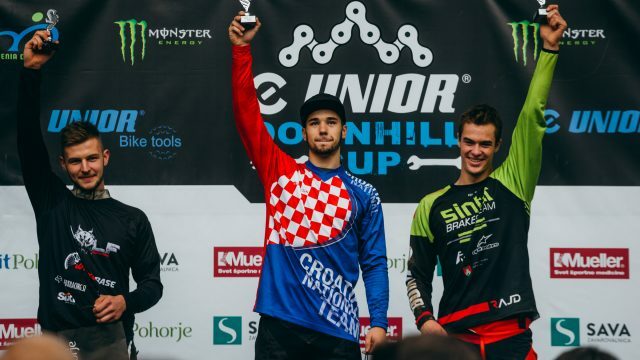 And in youngest category U15 Tomo Joksimović Terpin (Sinter Brakes Team) and Črtomir Svetec (Supersnurf) are just 5 points apart. 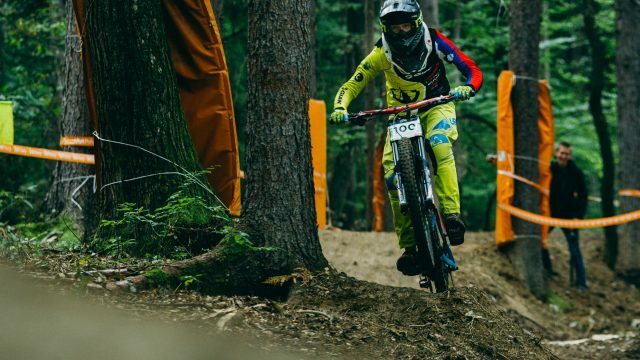 Fastest Slovenians Monika Hrastnik (KK Črn trn) and Jure Žabjek (Unior/Devinci factory Racing) will have to miss this race. 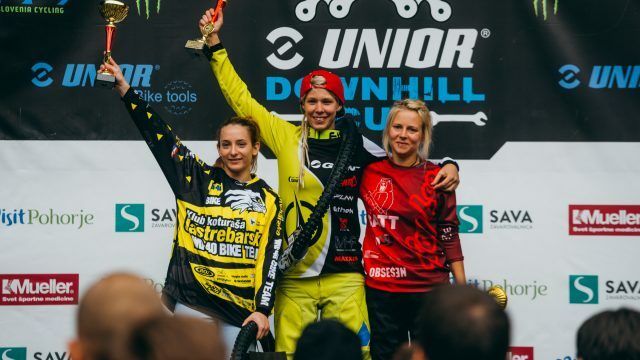 They were both injured last week during the World Championships in Lenzerheide. 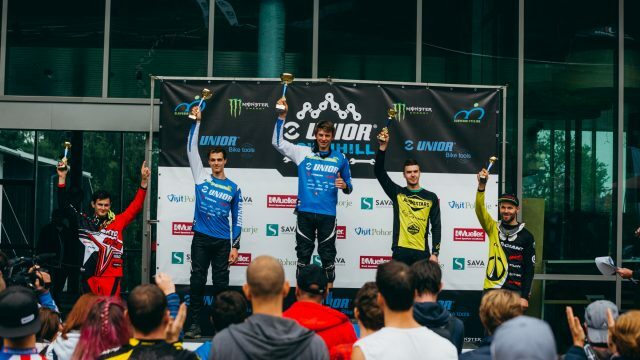 But they had only one appearance each this year and were not in the mix for the overall titles. 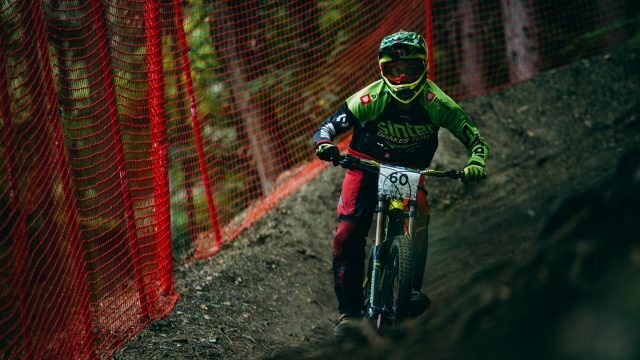 As the standard Unior DH Cup timetable goes the Saturday’s training starts at 10.30am and finishes at 6pm. 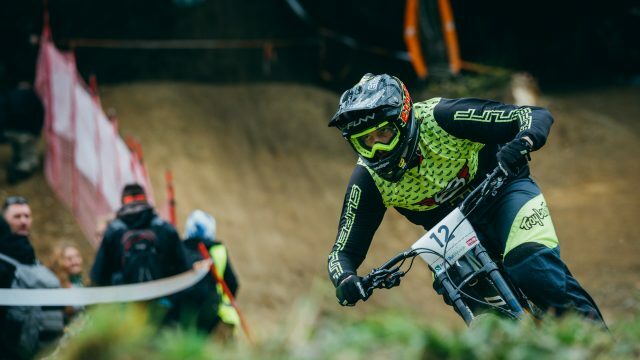 Training continues on Sunday morning from 9 to 11am, then semi-finals start at noon and final runs at 2.30pm. 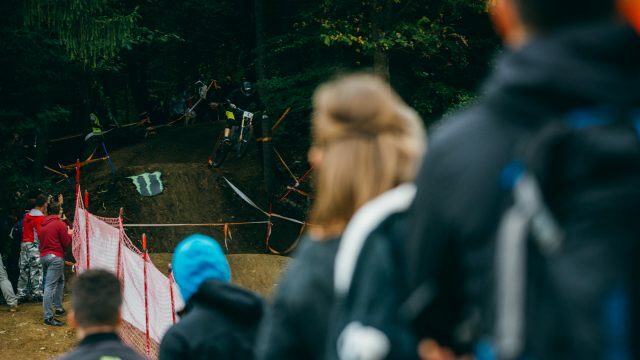 Due to Saturday’s concert the team area is moved to the field above the gondola bottom station.